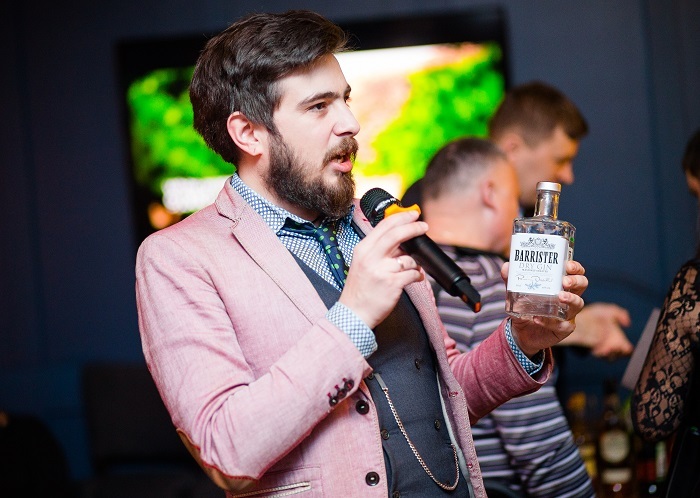 Russian gin BARRISTER has clinched 93 points, was awarded with golden medal and titled Best Buy according to the results of tasting organized by prestigious rating company Beverage Testing Institute (Chicago). Expert board of Beverage Testing Institute duly appreciated organoleptic qualities of gin BARRISTER DRY. They adjudged gold medal to the product and estimated it to 93 points. Besides the gin was also awarded as Best Buy. This title is awarded to spirits, most successfully combining outstanding quality with its price. Following the results of tasting gin BARRISTER DRY managed to leave behind such famous brands as Citadelle, City of London and Botanist. «Clear color. Fresh aromas of cracked juniper, Douglas fir, lemon zest, and cardamom with a satiny, vibrant, dryish light-to-medium body and a tingling, interesting, medium-long lime oil and white pepper finish. 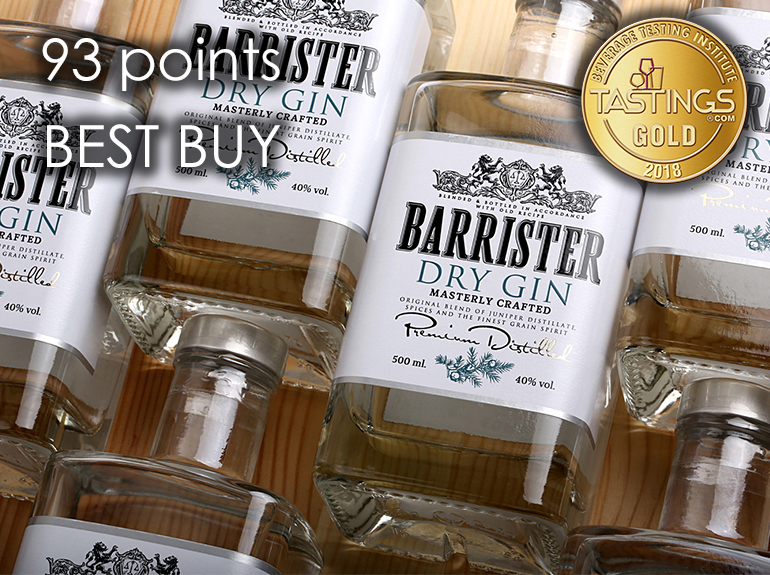 A super solid gin with crisp acidity and classic style», experts of the competition noted in their tasting notes about BARRISTER DRY. Previously at international contest The Global Gin Masters 2017 gin BARRISTER won silver medal and entered the top three in PREMIUM category. At the same time Barrister competed with such world-renowned brand as Beefeater, Gordons, Tanqueray, Greenall’s, Opihr, Caorunn, Kyrö and other gins. During the PRODEXPO exhibition the LADOGA group held 3 parties for the partners to a shop and wine bar Monopol Б in the heart to the capital - on Tverskaya Street. 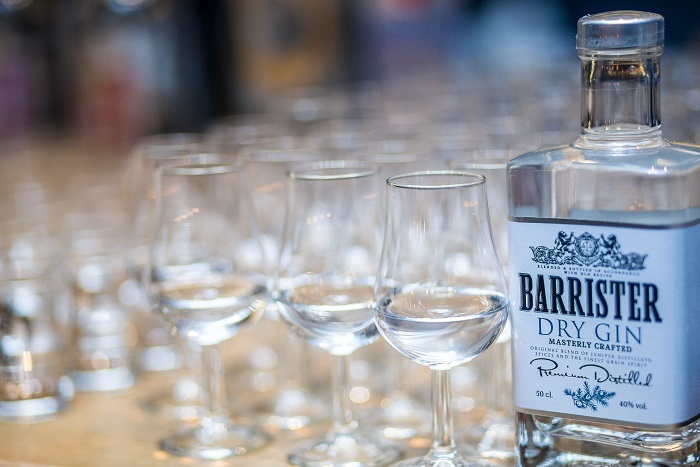 BARRISTER GIN became one of official drinks of evening reception on a row with other range of the company. Guests estimated fine taste and aroma of BARRISTER which for the short term of existence of a brand managed to gain recognition of experts of branch and trust of numerous consumers worldwide.